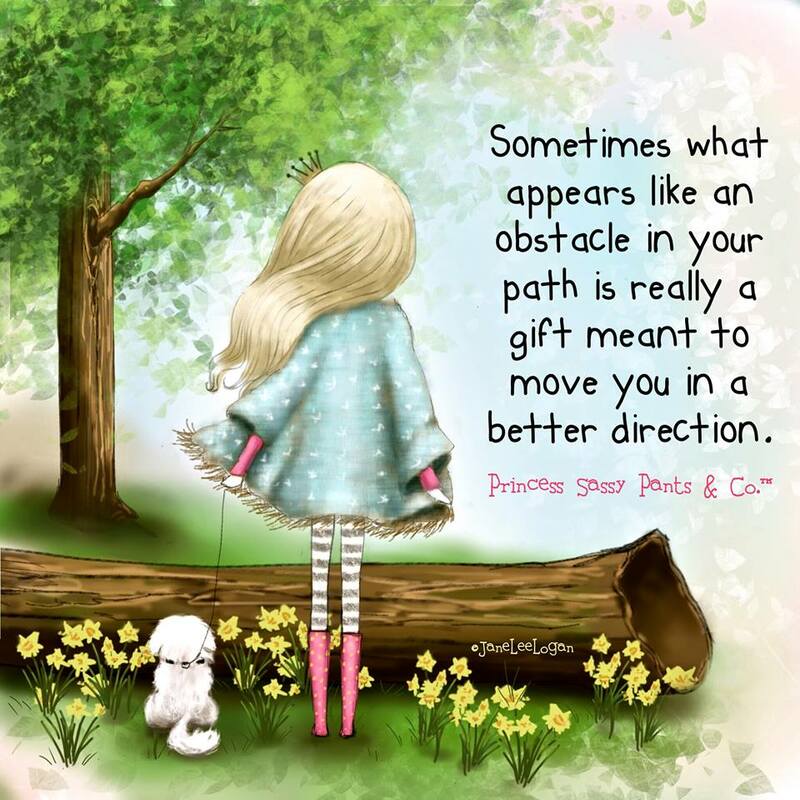 Sometimes what appears like an obstacle in your path is really a gift meant to move you in a better direction. 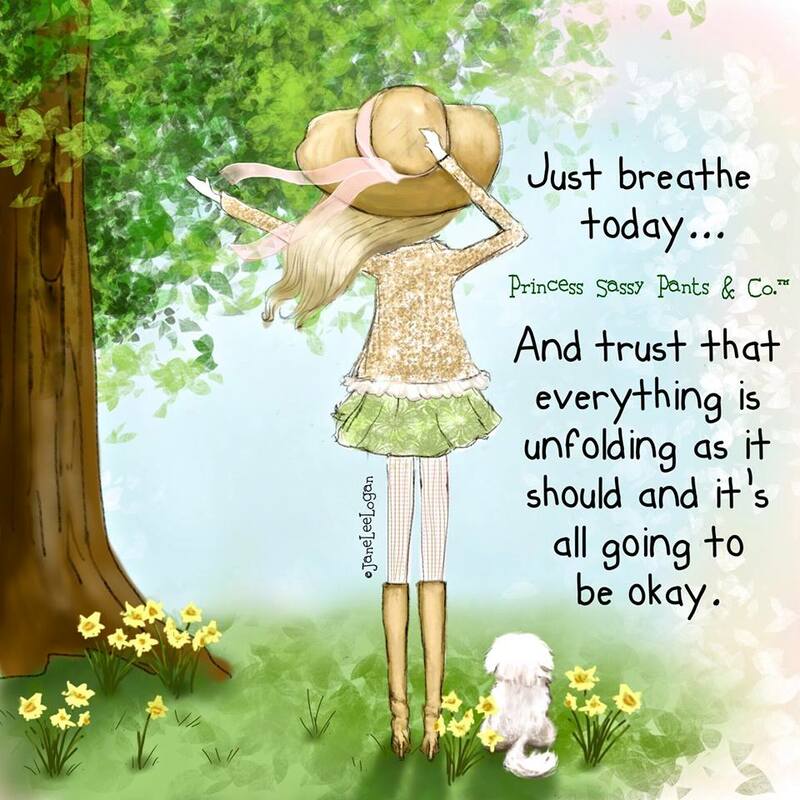 Just breathe today...and trust that everything is unfolding as it should and it's all going to be okay. 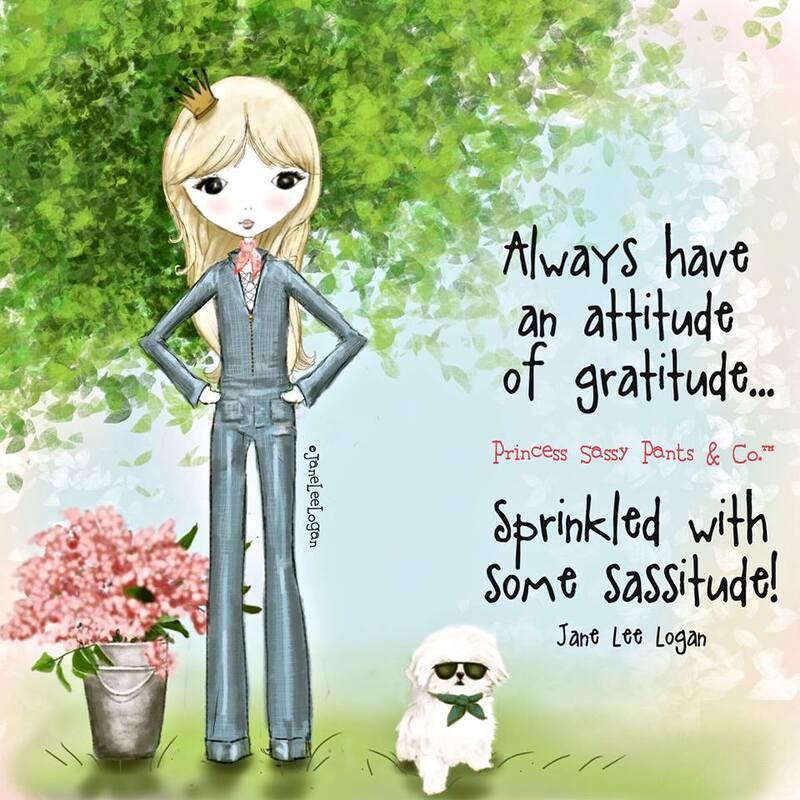 Always have an attitude of gratitude...sprinkled with some sassitude! 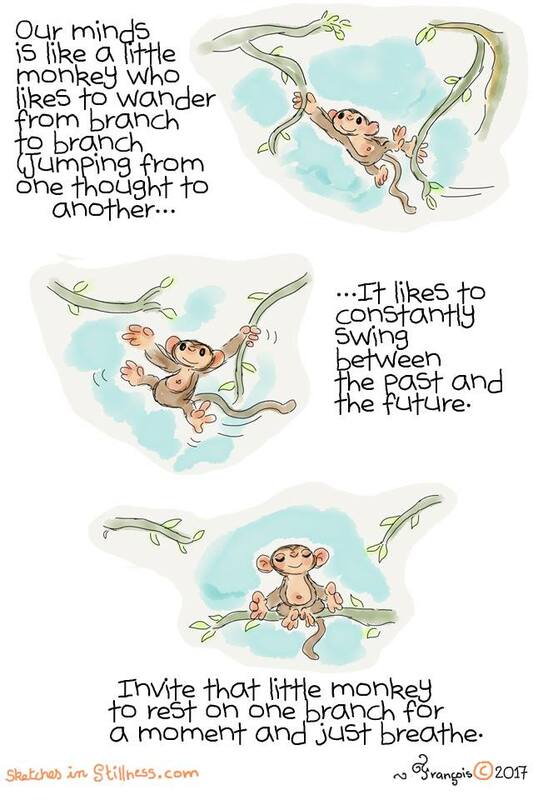 Our mind is like a little monkey who likes to wander from branch to branch, jumping from one thought to another...it likes to constantly swing between the past and the future. 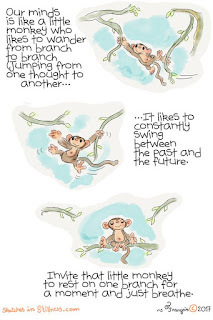 Invite that little monkey to rest on one branch for a moment and just breathe. 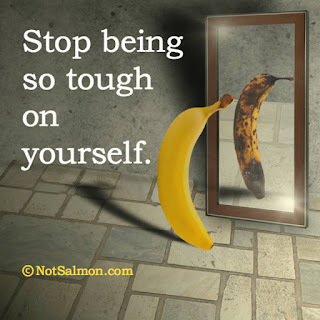 Stop being so tough on yourself. 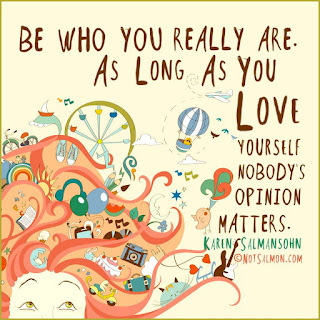 Be who you really are. 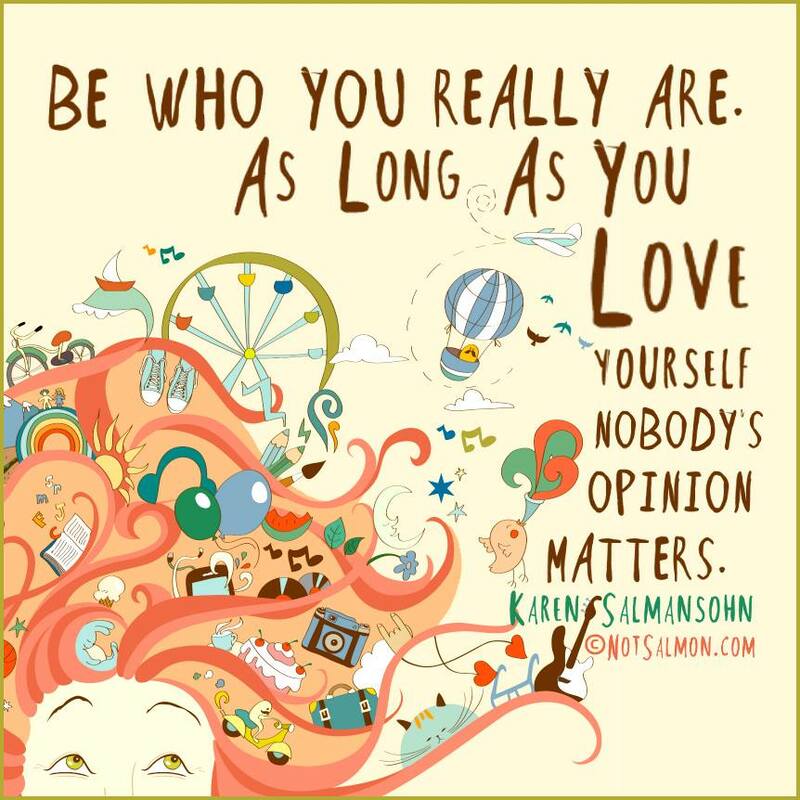 As long as you love yourself nobody's opinion matters. 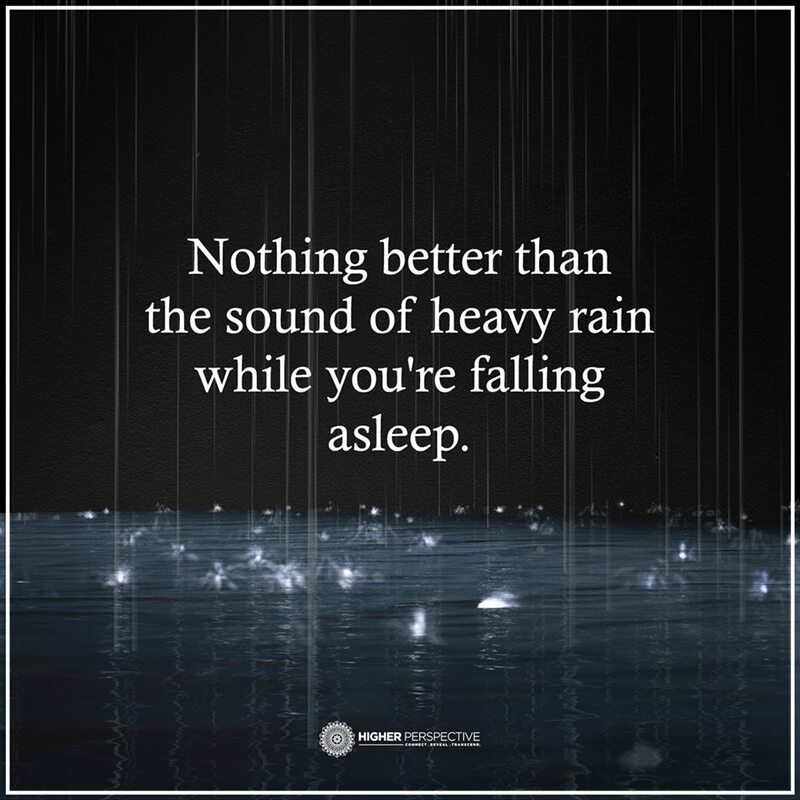 Nothing better than the sound of heavy rain while you're falling asleep. Good morning. 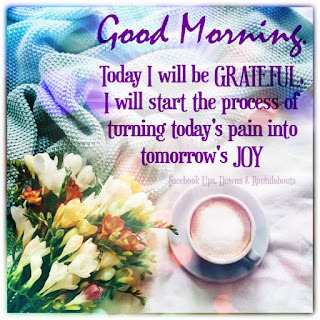 Today I will be grateful. I will start the process of turning today's pain into tomorrow's joy. 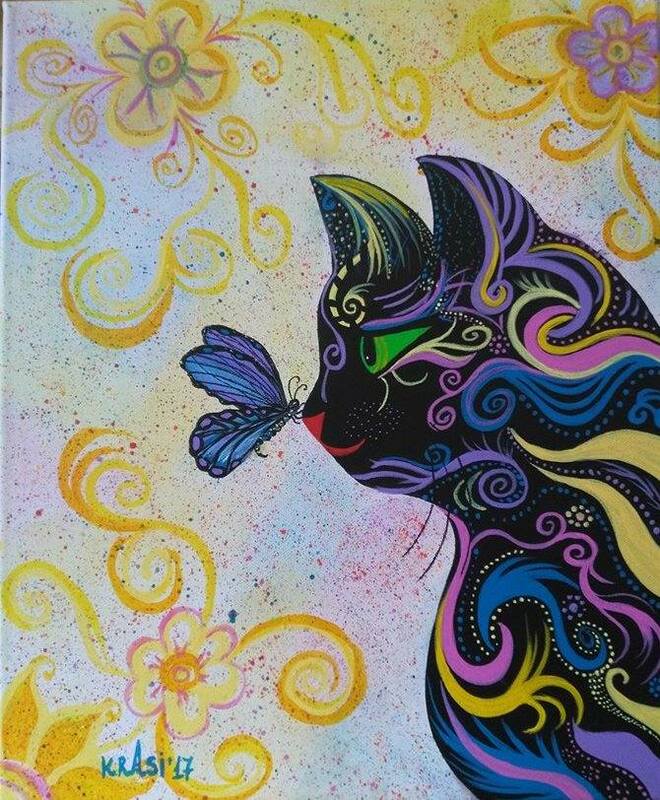 Lovely collection of artwork and quotes! Informative & interesting, foods to reduce stress and depression. Love the dog and horses. Have a great week! How can i say enough THANK YOU!!! for such pouring of pleasure and positivity. God will Bless you with more happiness and peace of soul for doing this giveaways my dear friend! like soo much the videos from 1954 and 1935..Amazing to see how they did things those days.. Very nice quotes as well Linda! Nice post. That first movie with Jake is very nice. Kitchen Gadgets's is nice to see, back in time Linda. Stop being so tough on yourself..
Good morning Linda! Wonderful post and inspiring words. I love the story about Jake the Firefighter dog. Happy 1st day of Spring. Have a great new week ahead! 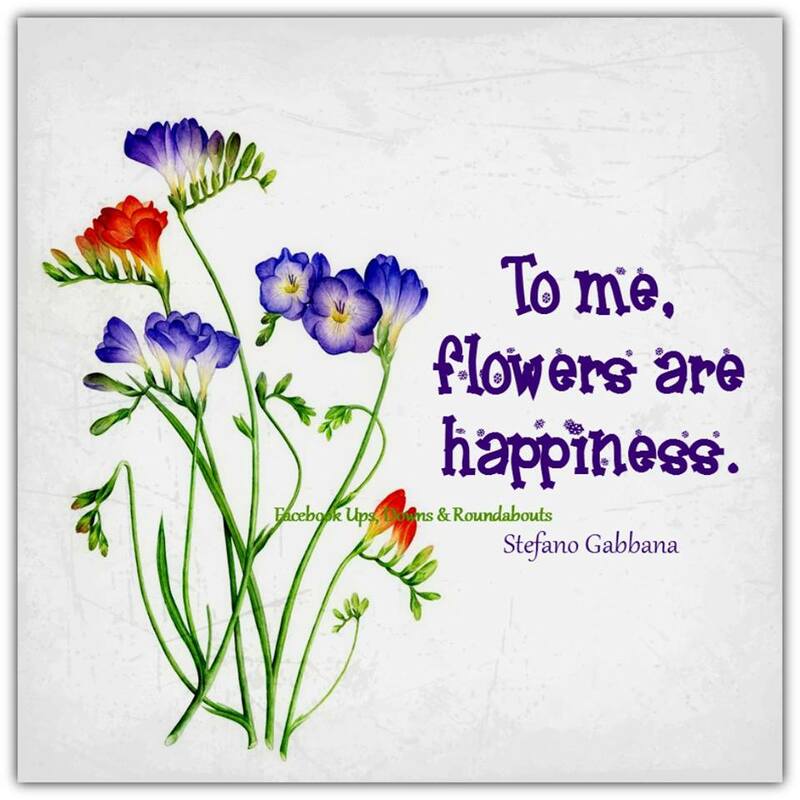 Great quotations and lovely images. Have a happy week ahead! Hugs! 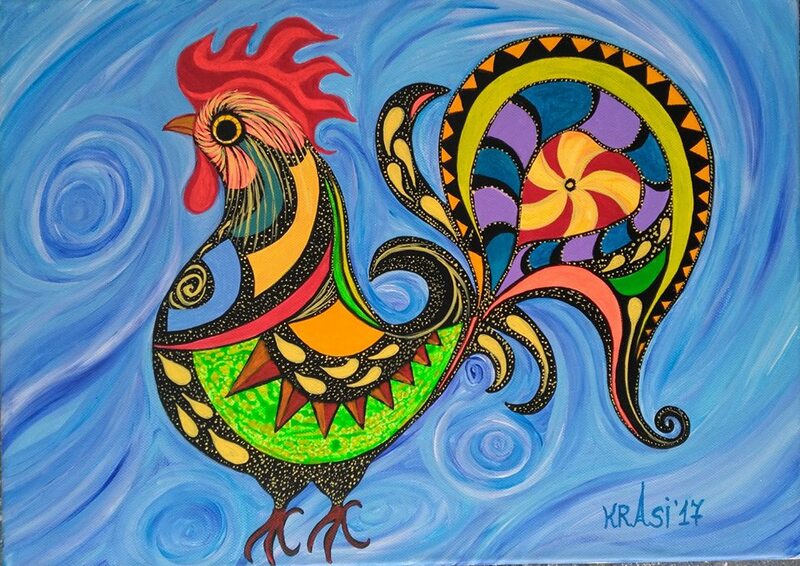 Colorful krasi arts. Happy day Linda! Jake and the mini horses stole the show. I linked this post to Awww Mondays. Hi Linda! I watched the video on making the perfect picnic. It was a little patronizing, but fun to see the different recipes. The baskets made out of cucumber were cute! I agree that what angers me, controls me. It will probably take my lifetime to work that out, but it's worth the effort! 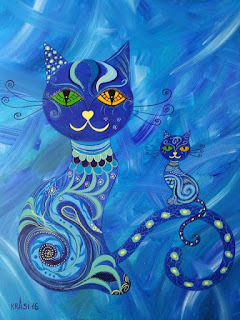 Wonderful post, Linda! 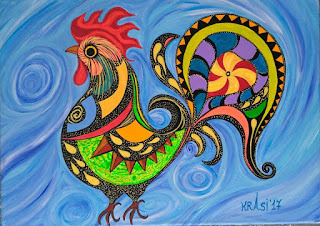 Beautiful Krasi art! And a very happy Monday to you, Linda! I remember my grandmother's kitchen in northern Minnesota. We would visit her farm often when I was a little kid. She had a big wood stove and baked bread every day along with all the other goodies. I would help capture the chickens, and, well, you know, put them out of their misery (I don't think I could do that anymore) and they'd go right in the pot to soak and then later Gram would pull all the feathers off and cook it in the big wood stove! Some fun memories! 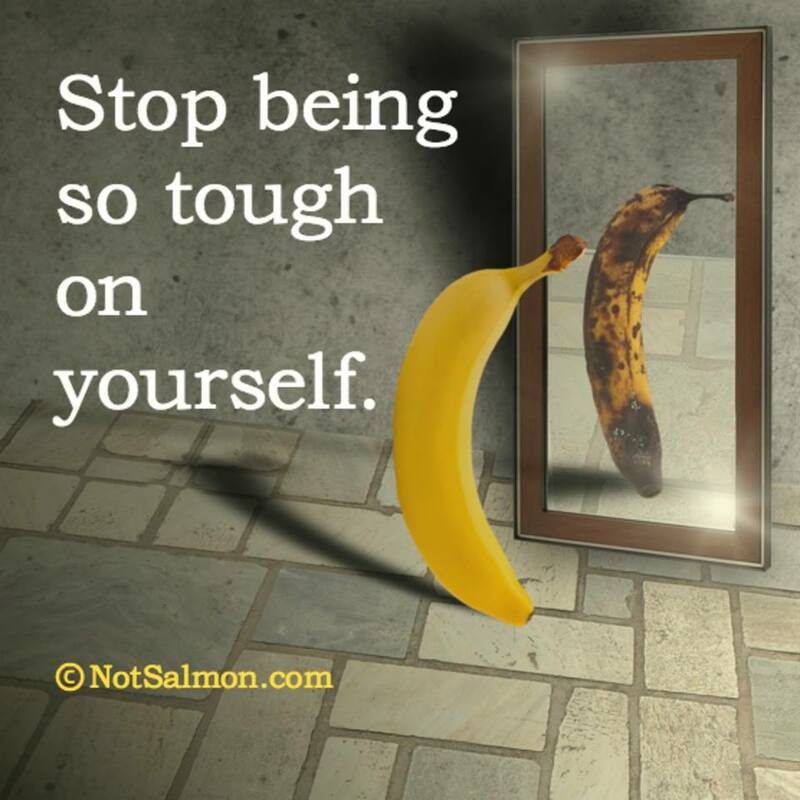 I love the banana picture. There is a lot of truth in it, unfortunately. Love Krasi Art. Very colorful! Hello. Rescue dogs are awesome. And above all very important. I got a kick out of those "modern" kitchen gadgets in the mid 50s, only a few years before we were married -- good grief, how did we ever live! And even funnier was the 1935 lady making a picnic -- that one was back before I was born even (that's a long time ago)... so fussy, so much work. I would never have survived. Tout est bien agréable à lire et à regarder. Bon début de semaine "petite amie"
Kitchen gadgets then and now are a headache for me. I like the basics. Not sure everyone will accept the notion of a glass of milk as 'healthy food'. Some people are against dairy products. 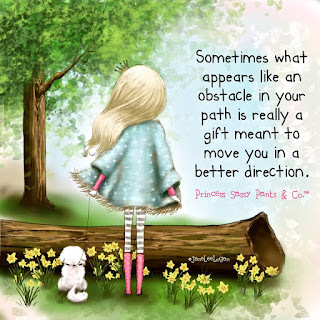 I agree with the saying that obstacles can sometimes turn into gifts. 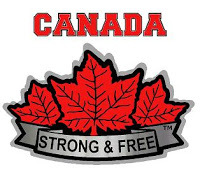 Great videos and quotes Linda. I love the miniature horses. The two old Pathe videos are great. Such a lot of work for a picnic lunch! Love the second last quote, true for me! Loved the video of Jake. How touching!! Thank you for sharing sweet friend. The quotes are so perfect. Also thank you for visiting my post and leaving the wonderful words for your sparrow hymn. A bit different than mine but still the same thought. Bless you dear. Have a super week. Hugs! Liked the kitchen gadgets and the picnic videos although housewife's then must have done a huge amount of work- shopping, cooking, baking and cleaning every day to live up to the 'ideal women' tag promoted in adverts of that time. No wonder parents then liked kids out the house so they could get on with it all in peace without constant interruptions. Takes me back to my own mum slaving away in the kitchen she seemed to spend most of her time in every day, although she liked baking and discovering new meals to dish out in recipe books. Beautiful post and yet again I am more than sorry I cannot watch the videos! Krasi Art is interesting and the first time that I have noticed it. Whoever angers you controls you. 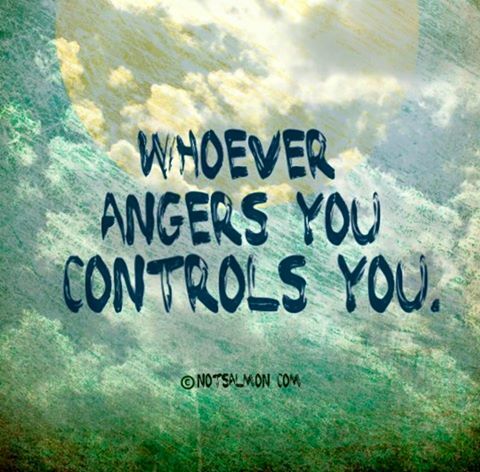 Not sure about that, I have a very quick temper but no one else controls me!! Thankfully the temper goes as fast as it arrives, hereditary from my father, but I have learnt a certain amount of control, not sure he ever did much as I loved him. We were like fireworks together (two redheads) but he also forgot quickly. Linda, these videos and quotes are so appropriate at this time, encouraging and positive. Jake the firefighter dog was a great little story. Thanks for sharing these and taking the time to find just the right ones. Tout beau!!! Bise, bonne soirée dans la joie et la douceur ma belle Linda! Those little horses are adorable! Great quotes and artwork too as always. It's true, many times an obstacle is just pointing us in the right direction. Thanks for picking out such neat stuff for all to enjoy! Blessings to you and have a great week Linda! Those horses! So adorable and I appreciated the smiles they brought to my face :o) Thanks friend! Jake the firefighter dog is so brave and courageous. Even having suffered terrible burns in a fire, he is not afraid of being a firefighter. I wonder what people who were 40-50 years old in the 1930s would think about our culture/society today? We have evolved so far - imagine as they view a microwave, cell phone, minivan, smart washer/dryer combo, and even a garbage disposal and dishwasher! I wonder what they would think that men and women partner in this life, and do not always have specific roles just because that's the way it always has been. I'm so grateful for what all my ancestors have contributed to this life. Thanks for the videos that remind us of these things. Wonderful artwork and quotes today! 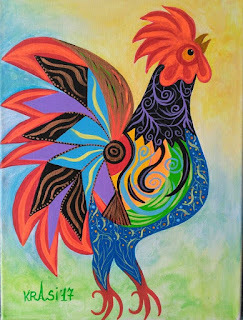 Wishing you a fantastic week, and lots of goodness your way, Linda. 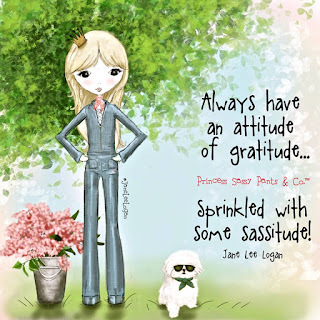 Gratitude & self-care, all good things! Those mini poneys are something!! OK, I'm on my to tame this monkey in my mind!!! You have so many wonderful quotes, ideas and recommendations today Linda. I really wonder how you find so many in amongst all the dross on the Internet. The 1935s wife. Did her husband appreciate how hard she tried? 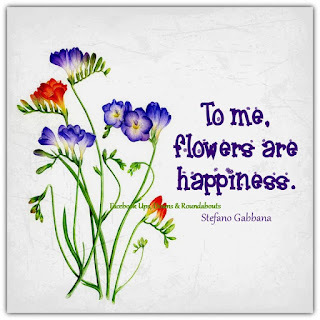 What lovely quotes and images. I especially liked the Krasi Art. Love Jake's story. My husband was a fireman & has lots of heartwarming stories about animals. I laughed at the ponies. People here in Eugene put raincoats on their dogs (will have to take pics). Loved the other videos, too. 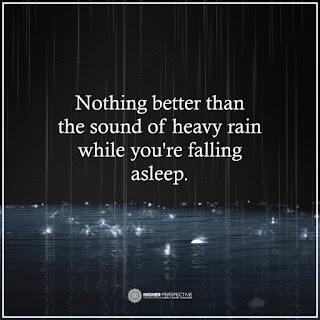 Great quotes - especially loved the one about the rain. We used to have a metal roof & just loved the sound of the water. Thank you Linda!! You always touch my soul!!! Big Hugs and Much Love! !